First of all, there is the new news system and an RSS feed which you are reading right now! Second, behind the scenes, updates are in progress along with a new way of displaying scans. 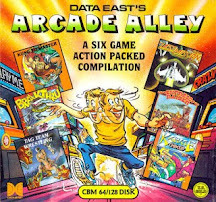 How many Commodore 64 compilations did/do you have in your gaming collection? Compilation64 currently has information and scans for over 250 compilations. Compilation64 Copyright (C) 2005-2015. Awesome Inc. theme. Powered by Blogger.